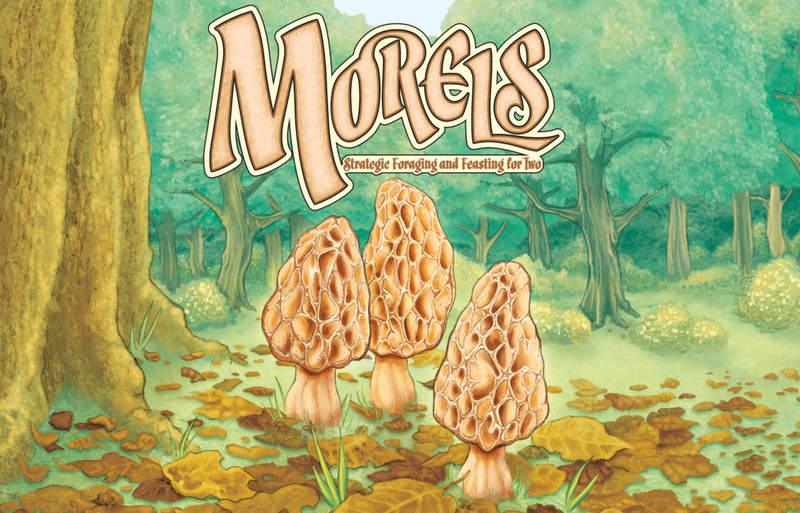 The official digital adaptation of the beloved card game Morels: a strategic card game for two players themed around foraging and cooking mushrooms originally published by Two Lanterns Games. The woods are old-growth, dappled with sunlight. Delicious mushrooms beckon from every grove and hollow with many tasty varieties awaiting the savvy collector. Forage, sautée with butter over the fire, and cook your way to victory! The Pacific Northwest has a bounty of edible mushrooms and Brian, the founder Mossbark Games, got into the mushroom foraging hobby in 2015. He loved the combination of walking in the woods and searching for tasty mushrooms. When he found the card game Morels had the same theme it was a no-brainer to start playing. What he found was a light game with surprisingly deep tactical and strategic decisions: perfect for playing on the go! He then approached Two Lanterns Games and the digital version of Morels was born. More from the designer of the original tabletop card game: twolanternsgames.com. More about the tabletop game: https://boardgamegeek.com/boardgame/122298/morels. More information on Mossbark Games, our logo & relevant media are available here.